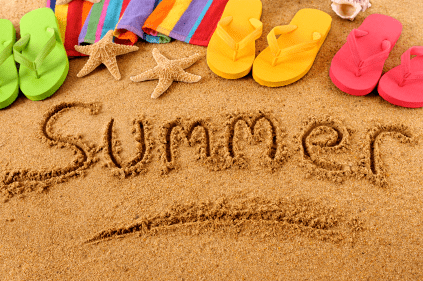 It’s just barely spring, but I am already excited about summer! Let’s see what we need to do to prepare for the season ahead. First things first, you need to make sure that your lawn mower is in good working order. If your lawn mower is older or broken, maybe you should think about getting a new one for spring and summer. My lawn has started growing back in again after the cold winter, and my husband is going to need to go out and mow it pretty soon. DealDash has a few different types of mowers, both the gas type and the electric type. 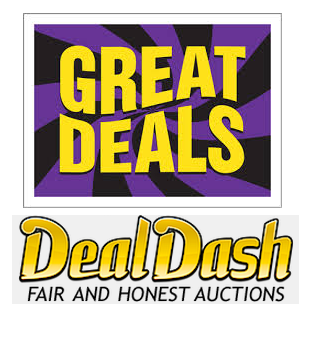 If you are in the market for a new lawn mower for this year, how about checking out DealDash’s mowers at this link here. Since you are checking out the lawn mowers, maybe you should check out the weed edgers and trimmers. DealDash has both the electric and the battery powered type. 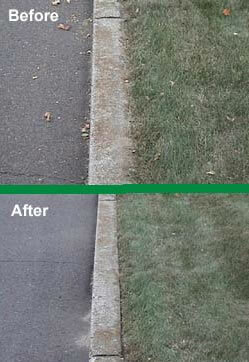 You might think that edging your lawn isn’t the most fun thing to do, and I would agree with you, however, if you want your lawn to look great it’s something that needs to be done. If you edge fairly frequently, so every two weeks, it’s not that time consuming and can be finished up pretty quickly. If you would like to check out the selection of lawn edgers on DealDash you can do that at this link here. I’m sure you’re saying “Enough with the yard work, let’s have some fun!” Well don’t you worry, DealDash has plenty of opportunities for fun as well. There is a relatively new product that DealDash has only been offering for a short time, but it’s awesome for summer fun. The summer fun item that I would like to suggest is one of the new wheeled hoverboards. There are many different makes and models of the wheeled hoverboard, but they all have the same basic functions. They are all a type of portable, rechargeable battery-powered scooter. They also typically consist of two wheels arranged side-by-side, with two small platforms between the wheels, on which the rider stands. The device is controlled by the rider’s feet, standing on the built-in gyroscopic, sensored pads. I have never personally ridden one, but they certainly look like fun, many of the teens in my neighborhood have them and can be seen riding up and down the street having a wonderful time. If you’re interested in checking them out, here is the link to see them on DealDash. I hope that you are having a lovely spring so far, but let’s get ready for summer! If you’d like to check out even more great things try the Hobbies, Toys, Outdoors, and Games section on DealDash at this link here. Good luck and happy bidding everyone!